SUM statement in ABAP programming is used for calculating the total of field values in an internal table. It can be used only inside of a LOOP .. ENDLOOP statement. It will work only with valid numbers like integers, decimals or float. 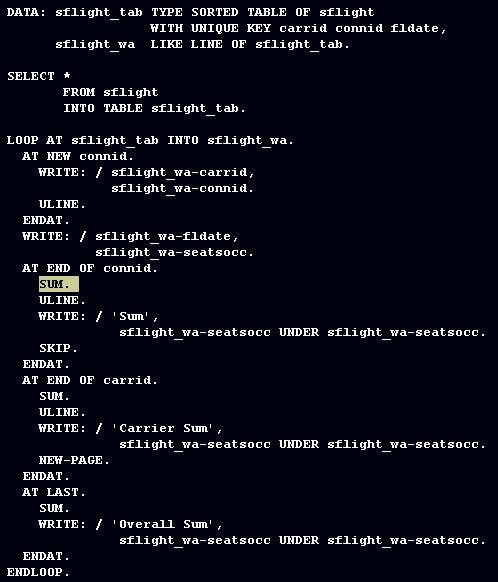 SUM statement should appear inside of AT … ENDAT control block in an internal table loop.